If you are ready to install new gutters and downspouts onto your home in Albuquerque, New Mexico, or a surrounding area, make sure to entrust a company that offers only the highest quality gutter systems. Having custom-fabricated seamless steel gutters installed onto your home is the best way to ensure that rainfall will flow freely through your gutters. During the rare times of intense rain experienced in the area you want to make sure that your gutter isn’t going to leak, crack, or overflow so a seamless gutter is the best choice for local homeowners. Thankfully, ABC Seamless of Albuquerque is in the area and will happily assist you with whatever your seamless gutter and water-management needs may be. We have served the area since our founding in 1989 so we have a deep understanding of what local homeowners require when it comes to gutters and gutter guards. 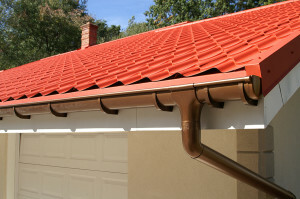 For more information about the effective gutters and downspouts that we offer to residents of Albuquerque, NM, and the surrounding areas, contact ABC Seamless of Albuquerque today. When you do, make sure to ask about our financing options available to all qualifying homeowners.